I have to confess to having bought zero gifts for Christmas yet. When November rolls around I always swear that this will be the year that I nail down everyone's gifts by Black Friday, but inevitably the times comes and goes and the week before Christmas I'm using Amazon prime like it's a lifeline. So if you're still in the market for some gifts, I've got you covered. Getting and giving gifts is so much fun! Sometimes after the holidays settle down though, we realize that some of the gifts we gave (and received) aren't as useful or necessary as they seemed. They end up tucked inside a closet to inevitably thrown out. To hopefully move one step closer to stopping this unnecessary cycle I've rounded up a list of 20 health and wellness related gifts. I absolutely LOVE practical gifts and I especially love practical gifts that enhance my health and wellness! This list includes a wide range of prices, but all are under $70. I hope that you find something to lets that loved one know that you care and that you want them to be their best selves in 2018. 1. 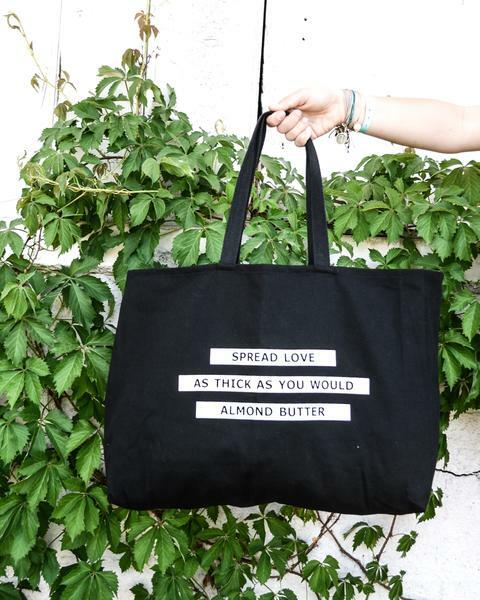 Spread the Love tote - $18 - So adorable and super practical considering Chicago charges a bag tax at all stores! 2. Nutrition Nerd Sweatshirt - $48 - Wear it loud and proud! 3. Black Girlfriend High Rise 3/4 length legging - $58 - Most comfortable leggings. Reasonably priced and ethically produced. 4. Good Food Good Vibes Tank - $32 - One of my favorite tanks! 5. Nike Run All Day Running Shoes - $70 - Favorite running shoes! 6. Lush Thunderstorm bath bomb - $7 - What says "I love you" better than a bath bomb paired with a candle or fuzzy socks perhaps? 7. 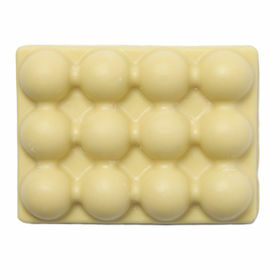 Lush Hottie massage bar - $13 - Pair with some tea and a mug. 8. IKEA mini cactus - $4 each - Find a cute little pot or two and fill them with these cute cacti. 9. IKEA aloe vera - $5 - Plants are such a great way to brighten a space and make an inexpensive gift! 10. The Love and Lemons Cookbook - $23 - There are lots of vegan and vegetarian recipes in this book. It's so great, it made it into my gift guide two years in a row. I use this book all the time! 11. The Nutrition Stripped Cookbook - $13 - Another one of my favorites that I use all the time! The vegan caramel recipe I am obsessed with is found in there. 12. Minimalist Baker's Everyday Cooking Cookbook - $20 - I actually don't own this one yet, but I LOVE her blog and can only imagine that her cookbook is equally as amazing. 13. 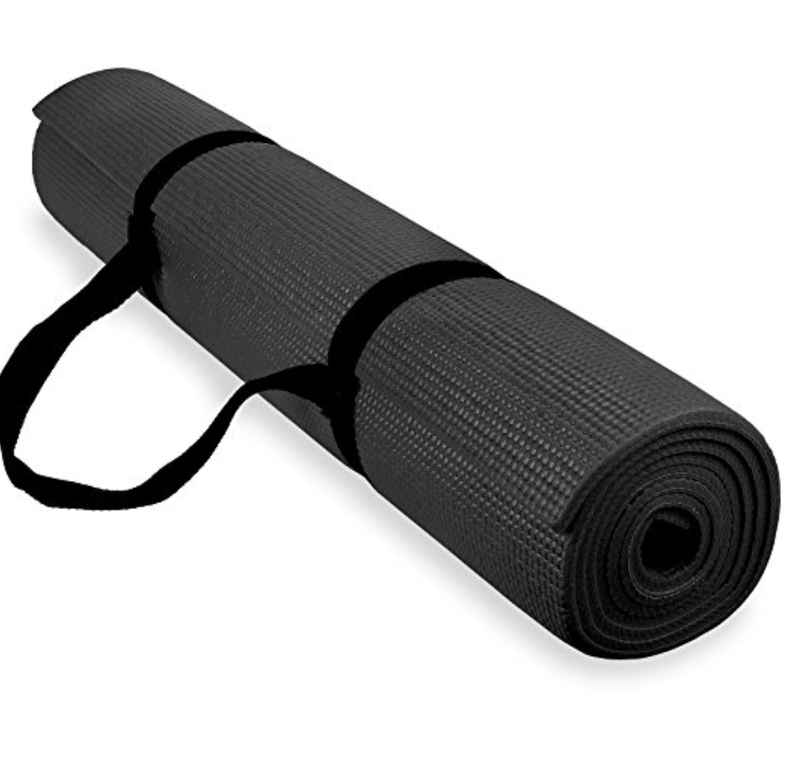 Yoga mat with carrying strap - $11 - For the person you think could use a little extra relaxation in their life. 14. Pharmedoc Foam Roller - $20 - For the person who works out like a maniac. This foam roller is amazing! It's seriously one of my favorite things to do after a workout! 15. Matcha Mint Maker - $35 - Because matcha is kind of hard to make on the go otherwise. 16. POP Insulated Water Bottle - $18 - You can never have too many water bottles! Especially if they keep water cold for 24 hours. 17. Essential Oil Diffuser - $16 - I have two of these and I LOVE them! I almost always have cedarwood oil in the bedroom and then lemon or orange on my desk. 18. Herschel Hip Pack - $30 - This is the bag I put my phone, keys, credit card, and running fuel in during marathon training. So handy! 19. Himilayan Salt Wall Lamp - $12 - I think these are super cute! Whether or not they work as magically as they claim, I have no idea, but they're adorable. 20. Lodge Cast Iron Skillet - $15 - One of my favorite pans! I use mine all the time. I can cook anything in it and even bake things in the oven on it. Such a handy pan for a really reasonable price!